The NBA's regular season just ended on Wednesday night, but the Sixers have already lost one assistant coach (Billy Lange) and could be on the verge of losing another, according to multiple reports. The Sacramento Kings have fired coach Dave Joerger, as first reported by Adrian Wojnarowski of ESPN. 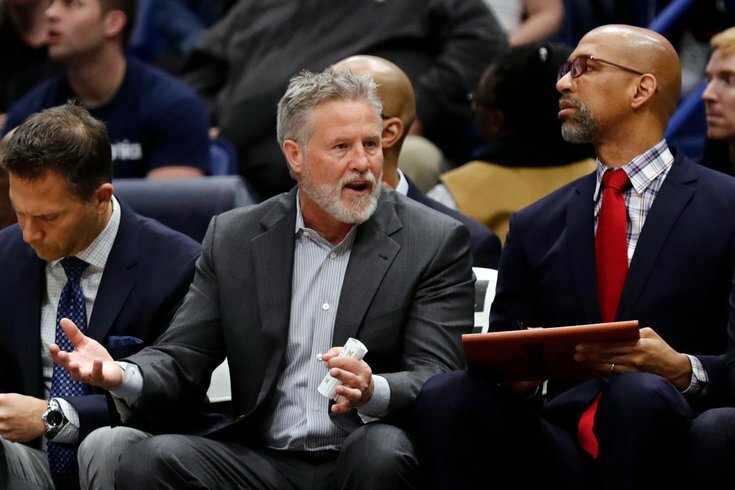 And one of the coaches being targeted as a potential replacement is Brett Brown's top assistant, Monty Williams, who was previously the head coach of the Pelicans (and Hornets) from 2010-15. According to The Athletic's Sam Amick, Lakers coach Luke Walton is "the clear frontrunner" should he and Los Angeles part ways. But he also lists Williams as "a strong candidate." Williams, who joined the Sixers last summer and is in charge of the team's set plays (like in-bounds plays and plays out of timeouts), would be a tough loss for the Sixers, especially given his head coaching experience. But according to Woj, he's going to be a candidate for multiple positions this offseason, so get used to hearing his name being floated out there throughout the summer. Recently, the Sixers lost their "defensive coordinator" in Billy Lange, who was hired by St. Joe's to take over for Phil Martelli. Luckily, the Sixers didn't have to go outside the organization to replace Lange, as they were able to have former NBA head coach Jim O'Brien, who had been working with the team as a "special advisor," slide into Lange's role on the bench. Considering Williams is still just a "candidate" for a job, it's not worth losing sleep over at the moment — especially since the Sixers have bigger problems on their hands right now, like preparing for a first-round matchup with the Brooklyn Nets.